Why Are People Over Age 65 Given Ineffective Flu Shots? For the 2014-2015 “flu season,” the reported effectiveness of the annual flu shot was only 14% in those over age 50. 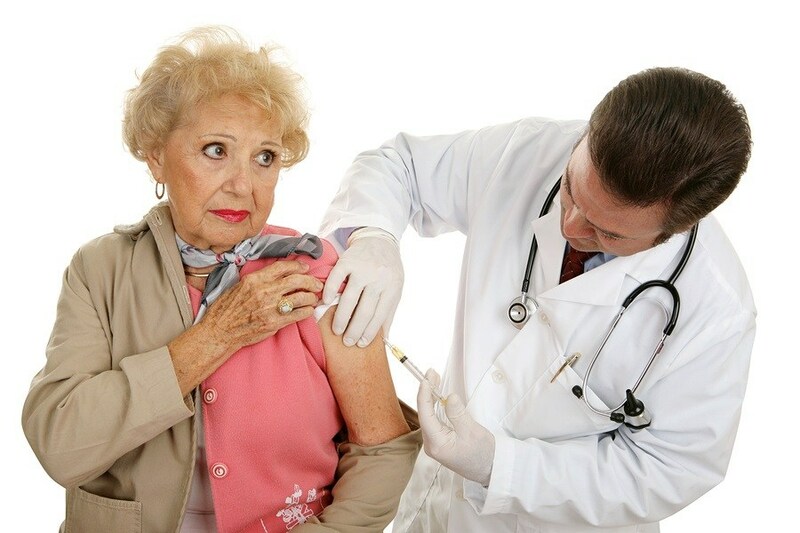 It has been long recognized that elderly people do not respond well to vaccination as a whole and that their immune responses to annual influenza vaccinations are especially weak. The elderly are at higher risk for serious complications from infections like influenza and pneumonia because aging immune systems often do not mount a robust response to challenge from natural pathogens or vaccines. The number of Americans over age 65 hospitalized for influenza in the 2014-2015 flu season was higher than had been previously reported since government health officials began to collect the data in 2005. Regardless of the highly questionable therapeutic value and potentially harmful side effects of the influenza vaccine, public health authorities insist that the annual flu shot is the best defense there is for seniors.